There is public parking available underground directly below the building. There are also parking lots just North of King on Brant and Spadina. 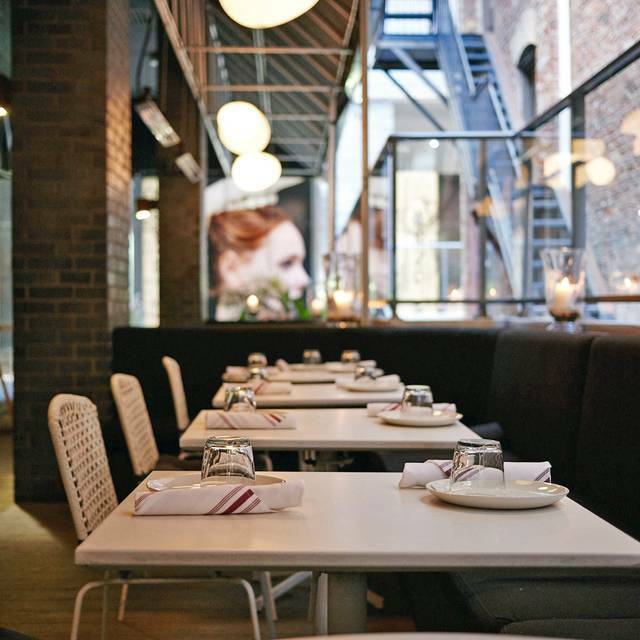 Patria is a Spanish tapas restaurant slightly set back from the road on King West. 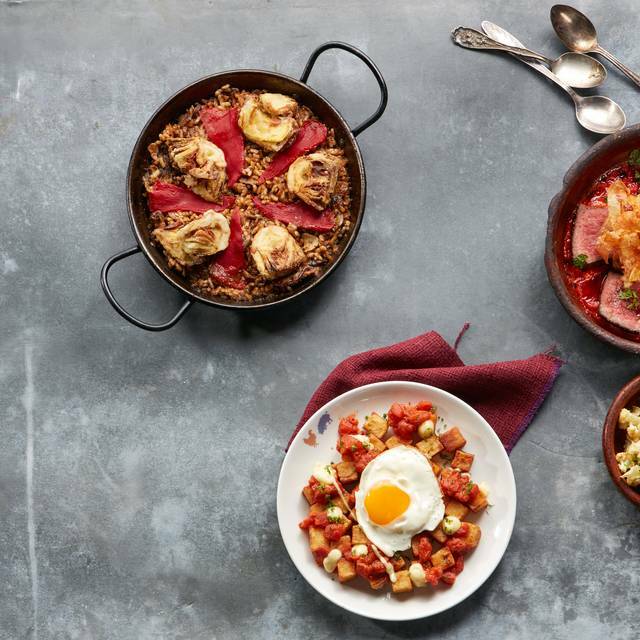 With many of our ingredients and wine being imported directly from Spain, we offer an authentic Spanish dining experience. Quick, attentive service. Flavorful, well portioned dishes. It was overall very good. The majority of the food we got was outstanding. The service was great and the restaurant was very nice. The only negatives were that the paella was a little over cooked and the sangria was not very good. Amazing experience at Patria. I have been multiple times yet brought my sister for her first. She is vegan and has a tough time finding food out, yet our server Carly went above and beyond at helping her find many options. The restaurant has never failed to be a great dining experience. Absolutely recommend! I really enjoy the food and wine selection and the ambiance of Patria. Love introducing my friends to it. This is a treasure in the heart of the Entertainment District. Being set back off the street, it is very cozy despite being a large room. A great menu with tapas, plates to share and specials. The food was excellent. Exceptional service! The main floor was a bit noisy but the wait staff were happy to give us a quieter table. We will be back. Food was good but pricey. Service was hit and miss - some waiters were nice, some were not as happy to serve. Overall, it was good. Absolutely top notch meal from beginning to end! Always a great time at Patria. The food and the atmosphere are amazing. Brought a friend there for the first time and she absolutely loved it! My go to when I want great food and a fun night. I went Patria on my birthday. It was good food, service and atmosphere. They gave me happy bd writing on plate which was cute. Thank you for good service. Amazing food! Our waiter was knowledgeable and friendly, but in the end he was busy and took long time to give the check. I'll definitely return for a special occasion as prices are steep for casual dining. We arrived early (10:30 am) for a Sunday brunch - and had a lovely time! Patria had just opened, so our server had ample time to explain all of the dishes to us, and make knowledgeable recommendations. All of our selections were fantastic, and went together well as we shared them all. We had a leisurely, enjoyable visit, and hope to be able to return!! 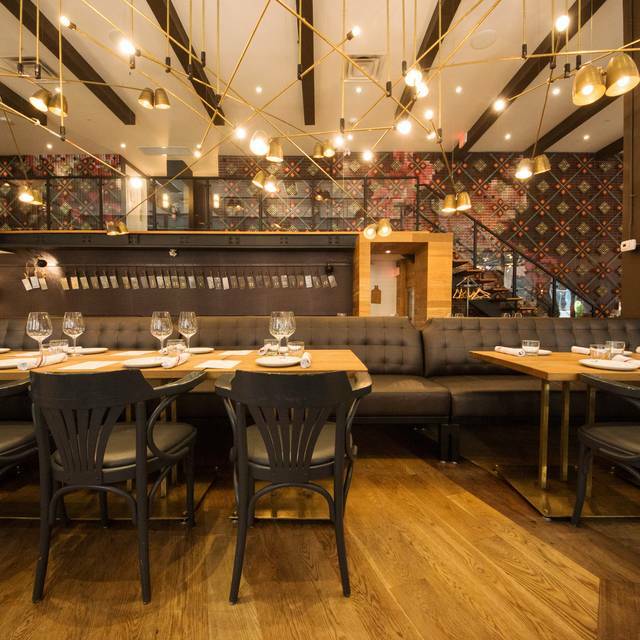 The food is always top notch and the staff and service at Patria are great. Lots of help in choosing dishes if you need it and of course, the best thing to do is order lots of different things and share share share! 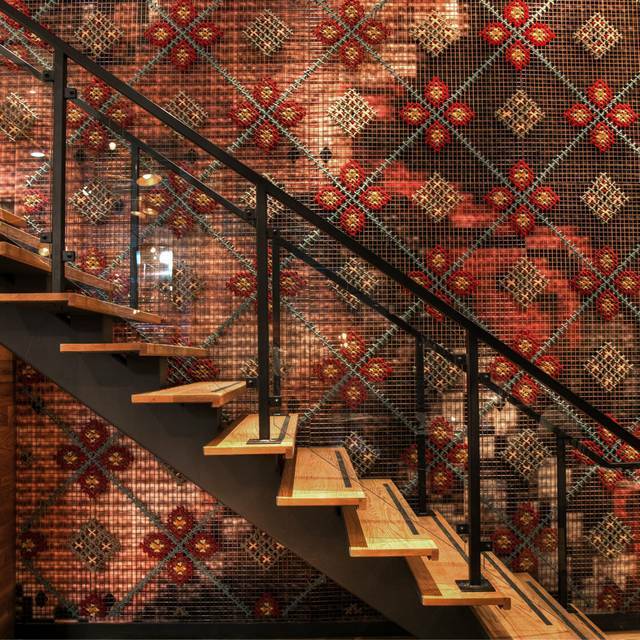 Nice ambiance and vibe to the restaurant. 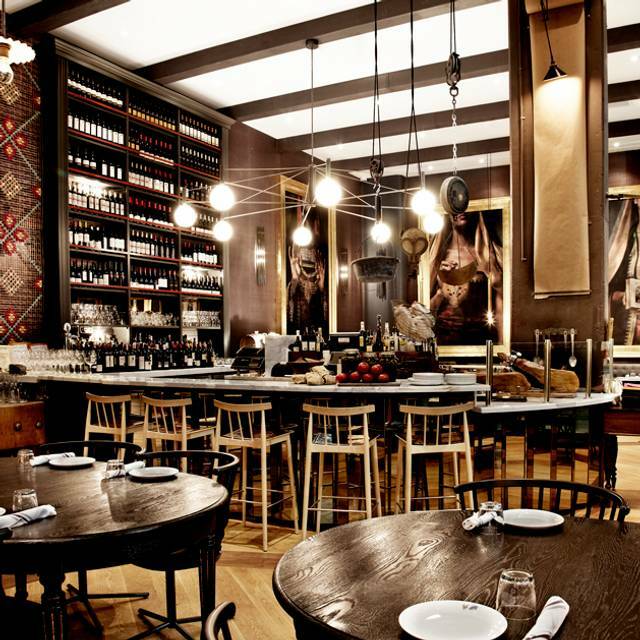 Have been to Patria several times and always loved the food except their paella. We ordered the beef one but didn’t like it. The beef was good quality but tasteless. The seaweed on top has a strange taste to it. 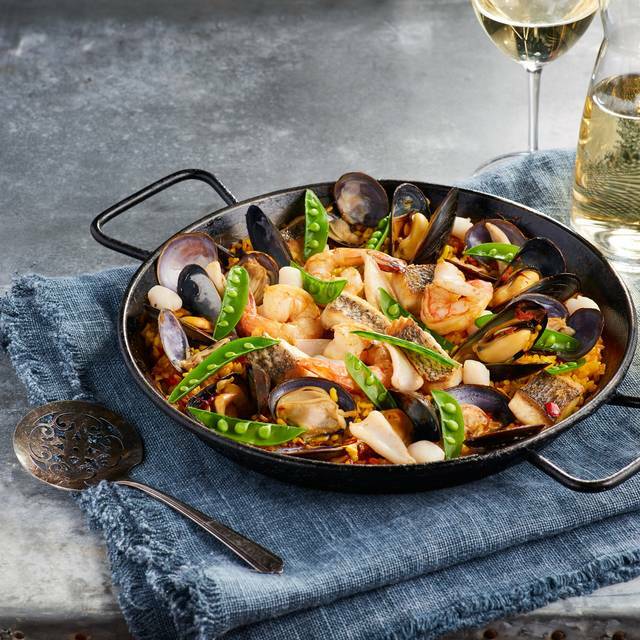 I also tried the seafood paella before but it tasted burned. I would still visit Patria in the future but won’t give another shot for any paella. 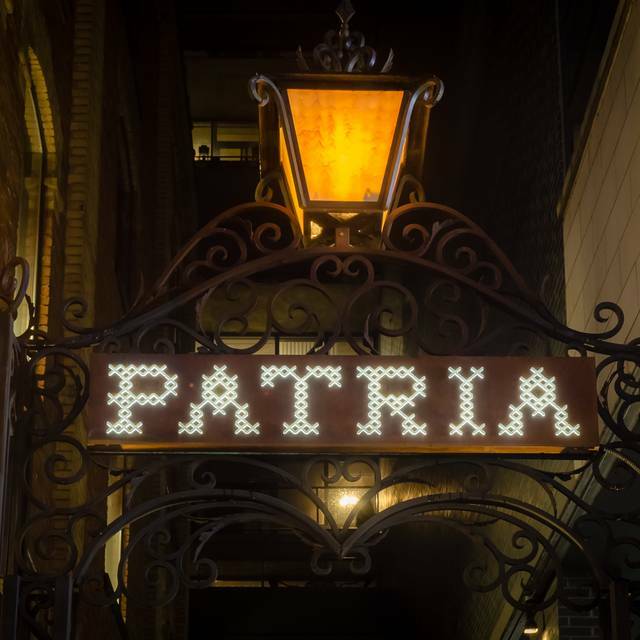 We had a fantastic time at Patria. The pacing of the food didn't feel rushed and we didn't feel uncomfortably full afterwards. The mushroom Paella was spectacular - and is every single time. We loved the rose that was on the by the glass menu. We felt our server was very approachable and calm. We stayed quite a while past close and we thank you so much for allowing us to enjoy our food and not rushing us out like some other restaurants do. Will absolutely be back! To expensive for the kind of food they offer on plate. 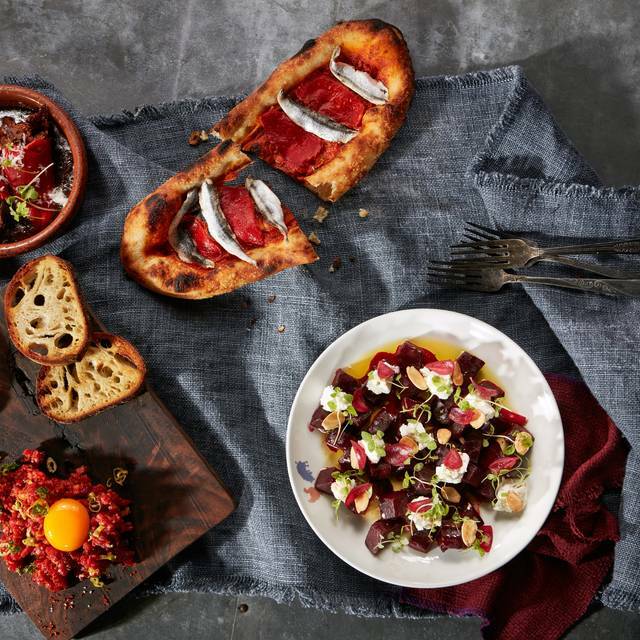 - Wonderful and delicious food. Kudos to the chefs and team in the kitchen. - When it came to dessert time, the manager kindly informed us that our time was up, we needed to leave the table. We ordered dessert and we were ushered to the bar area to eat it. That was annoying but the restaurant did pick up the bill on the dessert and offered free sparkling wine for the inconvenience. 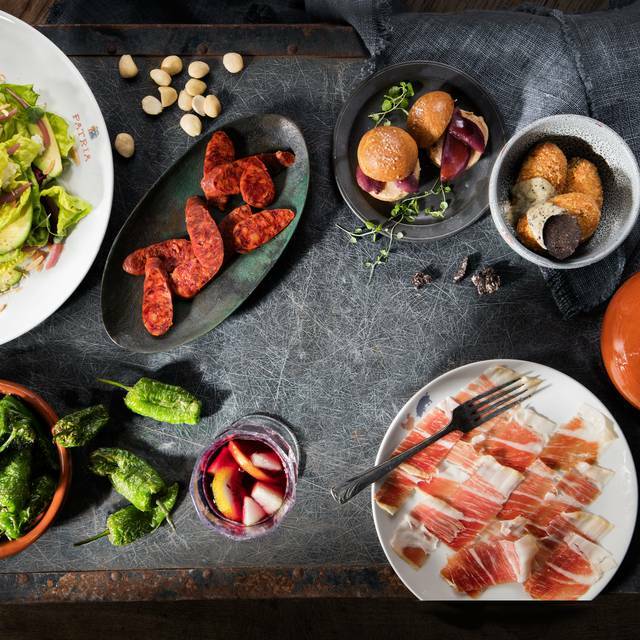 - Patria is also known for its Spanish Charcuterie (cured meat) and Cheese dishes. While we were at the bar, we observed how the girls were slicing the cured meat and the cheese. No gloves were worn, the meat was manipulated by hand so many times before being placed on the serving dish, the girls were also touching other things at the bar (paper, olives, cheese etc) and then going back to cut more meat (without washing hands and without gloves)....oh my, not very sanitary ! I can almost come to terms with being kicked out of our own table while still eating...but I can't rationalize the non-sanitary handling of the Charcuterie and cheese platters...how is this acceptable to management ? Great meal, good circumstance. Best for Friday night dinner with friends. Last experience was extremely bad. Food was very late. Server wasn't too nice about it. Paid for a paella and side that arrived 5 mins before we were about to leave, which we hadn't even tried. Celebrating our long friendship! We were warmly greeted and seated near the open kitchen area, which was terrific. Our server was friendly and helped guide our menu choices. All the food was delicious. Excellent food! The service was superb. Our waiter was on point, and all the food came out in a timely fashion. Very impressed. The main courses were not very hot. Not even warm, in fact. Although it is stated on the menu that paella takes 45 min would have been nice to be told in advance. Ambiance And service were great. A good spot to go with a work crowd. The food was a bit greasy and flavours were not as authentic as they could have been. I prefer the smaller Spanish restaurants in town which capture the Spanish kitchen better. Awesome, best meal we’ve had in Toronto. Don’t miss the dates wrapped bacon! Very flavourful food and excellent service! Went for a birthday dinner with a group of 4. Received excellent service. Portions weren't large but food was tasty. Great experience, would recommend and come back again. Excellent ambiance and service for a date night or dinner with a group of friends. We ordered a variety of items-- the highlight for us was the octopus, which was a special that night. We also had some Manchego, salad, cauliflower, paella and lemon meringe dessert. Cauliflower and salad were quite good, but the Paella was a bit disappointing-- would have liked to seen a better "crust" on the bottom. Dessert and after dinner drinks were excellent. Overall a lovely experience and great menu- definitely things we want to return to try! What a wonderful meal. They were just opening when we got there and even tho they weren’t really open, they took care of my elderly parents who couldn’t stand or walk for long while I parked.. Much appreciated. Every dish we ordered was fantastic and full of flavor and nice presentations. The waitress was attentive and explained every ingredient of every dish. Would love to go again and would recommend this restaurant to anyone looking for a nice meal out. Nice ambiance, great food, fairly loud place.. I wouldn’t recommend for a date or special occasion. Overall good experience. Food was average, price was well above average. Good wine selection. Service was ok.
A friend traveled for business conference in Toronto after a month in Spain. He knew exactly what he wanted and got it!